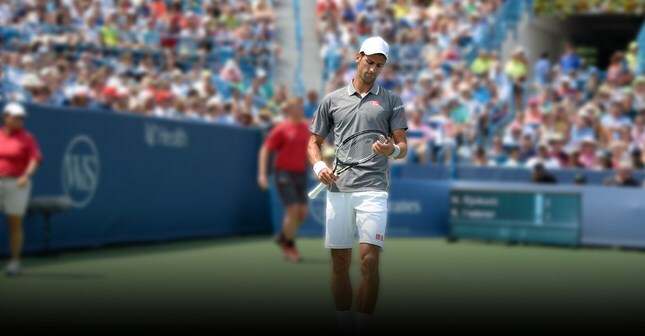 CINCINNATI (August 10, 2016) -- Five-time finalist Novak Djokovic officially withdrew from the Western & Southern Open on Wednesday morning due to a left wrist injury. "I am very sad to announce that I won't be able to play this year in Cincinnati at the Western & Southern Open,” Djokovic said. “I have a recurring injury that has taken its toll on my body due to a very busy and active schedule this year. I have played many matches and I have to take some rest in order to heal. I always have my hopes high on returning to Cincinnati and winning the only trophy I am missing in the Masters Series." Djokovic, the No. 1 player on the ATP World Tour, has reached the final at 14 of the last 15 ATP Masters 1000 events he has played. He has won a record 30 ATP Masters 1000 titles, with the Western & Southern Open being the only title to elude him. Players are already descending on the Lindner Family Tennis Center in Mason to prepare for next week’s tournament. Among the players expected to arrive Wednesday are Switzerland’s Stan Wawrinka, the former Australian and French Open champion, and Serbia’s Ana Ivanovic, a former French Open champion and WTA No. 1. The singles draws for the Western & Southern Open will be made Friday evening. Play begins with the opening round of qualifying at 10 am on Saturday. Tickets and grounds passes remain available for the 2016 tournament.